Patrick Dennis’ 1955 best-selling novel Auntie Mame: An Irreverent Escapade was first adapted into a stage play, then a film starring Rosalind Russell, and then a stage musical, and then into Mame, a film musical starring Lucille Ball. All the versions follow young orphaned Patrick’s adventures with his only remaining living relative, an eccentric aunt with a zest for life and a flare for the absurd. The episodic story sees the duo through the stock market crash of the Great Depression, Mame’s marriage to a southern aristocrat, and finally Patrick’s engagement to a woman Mame finds distasteful. I adore the 1958 film and see no reason for a musical version to even exist. The songs, except perhaps for one, are forgettable and none of them advance the story line. 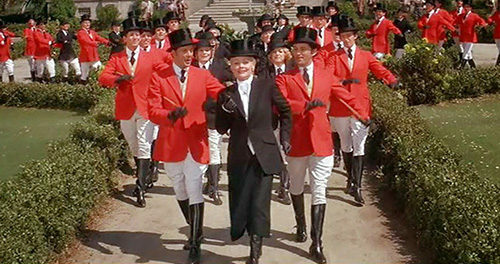 The film simply screeches to a halt every time someone starts to sing. And while Lucille Ball arguably gives greater depth to the Mame character than Rosalind Russell did, it’s a chore listening to her gravely voice in song after song. Ball’s non-singing performance is commendable in the last quarter of the film, when she and Patrick (Bruce Davison) are at odds with one another. But she’s otherwise no match for Russell’s charm and charisma. While Mame loses in overall comparison, it certainly benefits from Bea Arthur’s performance in the expanded role of the inebriated, sharp-tongued theater celebrity, Vera Charles. Theadora Van Runkle’s costume design is also a high point.